Get a rare look inside the negotiation process of an indie “360″ record deal. Recording agreement structures for independent labels have evolved significantly over the past five years. 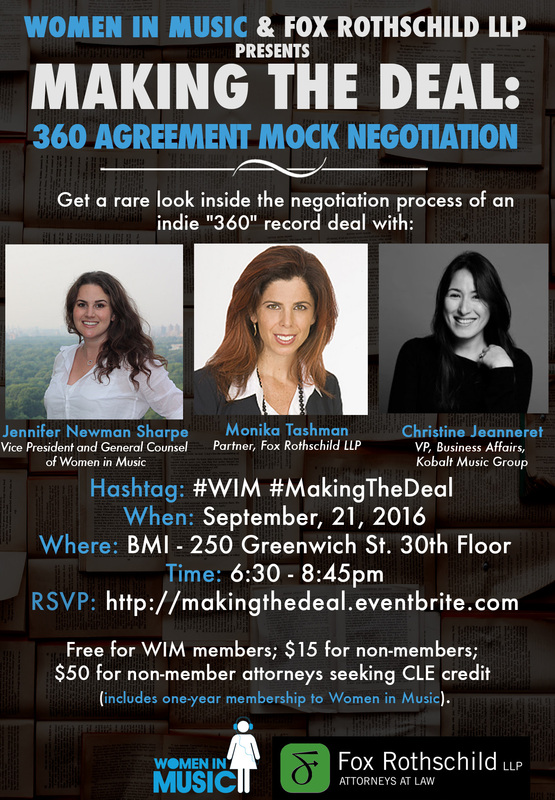 From the client consultations to negotiation of the major deal terms, this mock negotiation will expose the deal making process from start to finish. You will learn about the major issues in a modern recording agreement and understand the various factors taken into account by both parties when making decisions. Example agreements will be distributed, so you can follow along in the negotiation and see what the offer looks like in writing. 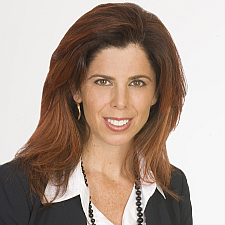 Monika A. Tashman is a partner in the Entertainment Law Department of Fox Rothschild LLP. Having worked at a major label and as a promotion representative for a major film studio, she is a skilled and savvy lawyer for clients in the entertainment and music industries who are seeking to maximize their brands and capitalize on opportunities via an array of new distribution channels and technologies. Monika provides strategic and informed counsel that not only builds but transforms the careers and companies of some of today’s most cutting edge and influential music and entertainment entities. A leader in the firm, Monika spearheads the firm’s Women’s Initiative in the New York office and serves on the Steering Committee for the firm’s Women’s Initiative nationally. 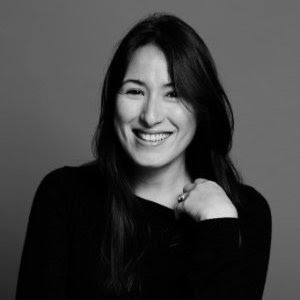 Christine Jeanneret, VP, Business Affairs, Kobalt Music GroupChristine Jeanneret began her legal career at Greenberg Traurig in New York, working with both the entertainment and corporate departments before leaving the firm to join Ultra Records in 2003. At Ultra, Christine created and grew the label’s in-house Business Affairs department, acting as SVP, Business Affairs before joining Kobalt in 2014. Christine has broad experience in drafting and negotiating all types of music industry agreements. 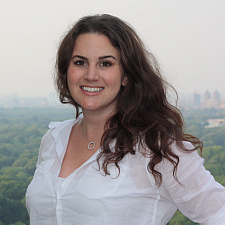 Prior to Greenberg Traurig, Christine received her J.D. from Fordham University School of Law and her B.A. from Barnard College. Jennifer Newman Sharpe is Vice President and General Counsel of Women in Music and an entertainment, intellectual property,and start up business attorney. Her clients include artists, producers, managers, record labels, publishing companies, digital distribution companies, and tech start ups. Jennifer is also co-founder and CEO of Sparkplug (www.sparkplug.it), the sharing economy marketplace where musicians rent their instruments, gear, and space to and from each other. Free for WIM members; $15 for non-members; $50 for non-member attorneys seeking CLE credit (includes one-year membership to Women in Music).For Attorneys: This program has been approved in accordance with the requirements of the New York State Continuing Legal Education Board for a maximum of 1.5 credit hours, which can be applied toward the Professional Practice requirement.